This week I'm taking a closer look at Thom Brown's Fall/Winter 2012 collection. 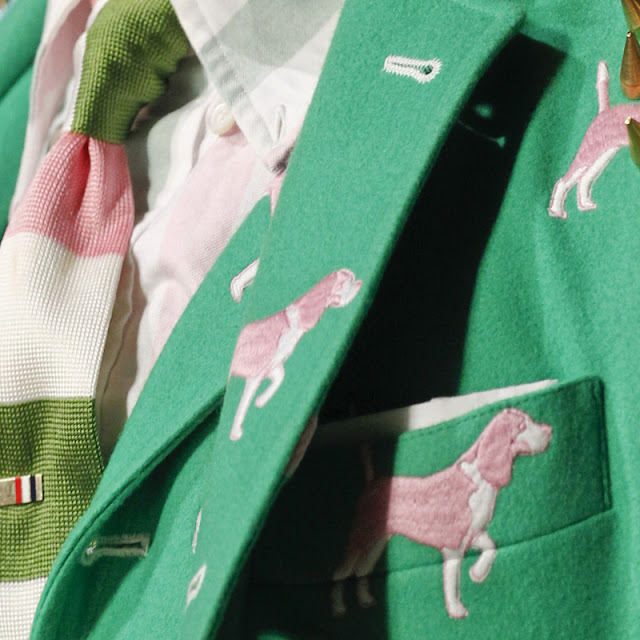 I chose this mint green two piece suit embroidered with charming pink and white dogs. From close up it looks like your average well tailored (but slightly quirky) suit... until you step back. I love the crazy proportions of his pieces and the lighthearted touch of using domestic animals as motifs. I chose the green suit because of all the contrasts: the preppy, collegiate colours versus the edgy attitude of the spiked studs. I love the way Thom blurs the lines of what's acceptable in mens fashion, notice the bare midriff and the fuzzy mink merkin peeping out from the low cut check trousers? 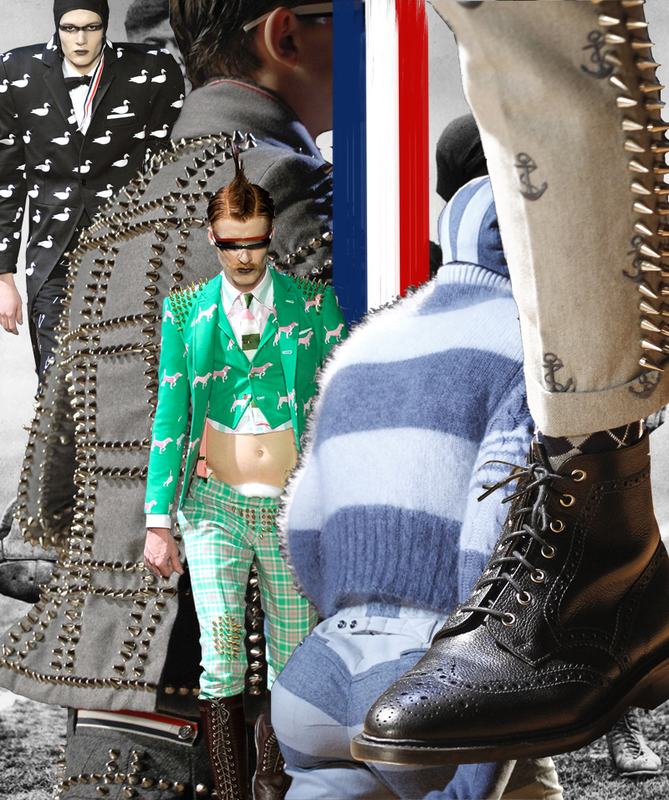 Punk rock and American football were obvious inspirations for this collection as seen in the heavy use of spiked studs and the over exaggerated shoulder pads. Although his collections aren't always the most wearable, it's great to see a designer that can take a concept and produce a collection that challenges and entertains all at the same time.